Make your title catchy: If your readers are intrigued by the title, they’re going to want to read what you’ve actually written below it. So use your imagination and come up with something that is creative, interesting and topical. Also, it’s important that you stay true to your title when writing the article; you can trick your readers once and make them click your link based on the title alone, but they’re going to be more wary of your by-line if you continue to provide misleading titles. Be concise: Get to the point soon – if your title says that you’re going to talk about the negative side of technology, don’t wait until your second or third paragraph to start your main point. More often than not, you’ve already lost your reader by then. So avoid being long-winded and say what you have to say at the outset after a brief introduction. Don’t repeat what you’ve already said: Some writers repeat what they’ve already said earlier just to meet their required word count or to fill the large blank spaces staring at them on their computer screens. But when you say the same thing again and again, albeit using different phrases and words, you’re insulting your readers’ intelligence. Don’t be ambiguous: When you use long and complicated words and phrases that are not really necessary, you end up confusing your reader and leaving them with a sense of bewilderment. Jargon is fine as long as it is relevant to what you have to say, so focus more on your subject than the words and phrases you want to fit in to the subject. Beware of keywords: If you’re writing for an online blog or website, you’re probably going to be asked to use certain keywords as part of the search engine optimization (SEO) drive. But if your keywords are scattered throughout your article without regard for their relevance in those positions, you’re not going to impress your readers and get them to come back to read your content on a continuous basis. Put some thought into weaving the keywords seamlessly into your text so that your readers don’t even realize that they’ve been inserted to help your site climb to the top of search engine rankings. It seems that just before awards season, most of us scramble to the theater to get a look at the hottest films of the season. Whether they’re movies you’ve been meaning to watch or just a film that sparks your interest thanks to coverage on TV or the web, the following movie blogs will give you everything you need to know about nominated films before Oscar night. If big budget productions are what you crave, these mainstream movie blogs will keep you posted on the films being released with A-list stars. CinemaBlend Get reviews and movie news at this slick blog that updates numerous times throughout the day. Movie First Blog First This blog is full of awards show coverage and also gives you the scoop on the latest big budget movies to hit theaters with lengthy reviews. Film Jabber Depend on this movie blog to get updates on what’s going on in Hollywood in terms of what scripts are being passed around and first images of much-anticipated films like the new Spider-Man. Box Office Prophets This blog gives you a rundown of the numbers when movies open each week. It’s a fun blog for those who want to know a little more about the business aspect of making movies. Criticker This movie-loving community is the place to go when you want real reviews over the latest films to hit theaters. Don’t expect sugar-coated reviews from this movie blog. Movie John This blog is penned by a guy who knows his stuff and isn’t afraid to rip apart films for lousy storylines and plots that go nowhere. Movie Blog This site is constantly updated and serves as a feed for movie and celebrity news. Only Good Movies Brush up on your movie trivia for films new and old at this movie blog. The Movie Blog This is one of our favorite movie blogs on the web for learning about films that are in pre-production, getting a first look at movie posters and costumes and getting ace reviews for mainstream movies. MTV Movie Blog Yes, it’s MTV, but this movie blog is actually quite good with movie reviews and awesome awards night coverage. Jay’s Movie Blog This movie blog has a healthy mix of mainstream and independent film reviews, especially the more widely released indie movies. MoviesCrunch We love this movie blog because it covers the history of film and makes references in current film reviews that will make you seek out great movies of the past. Get the Big Picture It’s all big time movies at this movie blog which reviews the latest films in theaters and gives you predictions for awards season. Movie Dearest Get the latest news on the films you need to see before Oscar night. It’s a brilliant blog for learning about soon-to-be-released movies too. Sun Times – Robert Ebert’s Journal The man who made many of us fall in love with movies blogs his thoughts on the latest film releases and who’s likely to win what on the big night. For movies that are produced with teeny budgets and that sit close to the heart of the director, take a look at these film blogs that cover all things indie. Film Maker Magazine This movie site keeps its eye on indie films that are going to be released and those who’ve received wide acclaim. IndieWire This site focuses on all independent films and gives plenty of info over the ones that get major Oscar buzz during awards season. IndieWire – Leonard Maltin This famous movie critic is one of the few that reviews indie films you’ve probably never heard of until they get nominated for an Oscar. Movie City News This site has lots of coverage for those who love big budget movies, but it’s mixed with plenty of indie film news and reviews. IFC The folks over at IFC love bringing you indie films, so it’s only natural they blog about their latest and greatest releases with plenty of backstory on the subjects. Film Independent At this blog you’ll get all of the indie movie news you can handle, plus picks for what will be sleeper hits for the following year. IndieTalk True indie movie lovers will adore this site where film addicts discuss everything from the best movie scores to their favorite indie films of the year. Indie Pix Films This movie blog writes about true indie films and has reviews galore when you’re looking to see groundbreaking film making in action. Independent Film Blog Ever wonder how these 20 year old film makers come up with the funds to make their movie happen? Learn about that, marketing an independent film and getting distribution at this film site. Left Field Cinema Learn indie movie news and get reviews on new independent films and cult classics that you may have overlooked over the years. MovieMaker This site talks about the behind-the-scenes work that makes a movie come to life and has interviews with folks from monster hits and on-the-radar indie films. Screenjabber It’s nothing by independent movie reviews at this movie blog. You’ll love that the reviews are honest and don’t get too artsy by using movie lingo that only those who took a film studies class would know. Truly Free Film This site talks about the business of independent movies and how the art of the “real” indie film is slowly dying. It also gets into advertising a film, seeking a distributor and more. Flickering Myth This is one of the major independent film blogs out there and reviews the indie movies that are making waves when awards season rolls around. If American films don’t cut it for you (and we don’t blame you), check out these foreign film blogs for a taste at the realistic movies folks are making all over the world. Instead of ultra perfect actors you’ll get characters who are visibly old, overweight and ugly. Art imitating life at its best. Foreign Films for You Take a look at the shift in foreign films over the past couple of decades and the high caliber of work coming from places outside of the U.S.
ScreenDaily At this site you’ll get all of your movie news for films produced in the U.S., Asia, Europe and more. Twitch Film This site has it all. From a vast selection of foreign film reviews to big budget and wide release indie movies. Film Movement This is one of the best resources on the web for getting all of your foreign and independent film reviews and having them delivered right to your door. Movies are also sorted by film festival, so you can pull up exactly what you’re looking for if you’ve read about it elsewhere. Beyond Hollywood While this site has plenty of movie reviews, it covers foreign films in depth, especially from countries like Korea and Spain, both of which are churning out the hits. Korean Film Get the scoop on the provocative films coming out of Korea. Love HK Film This foreign film blog gives you news on Korean, Japanese and Taiwanese films, plus industry analysis onw how the films are being distributed. Han Cinema This is the blog to visit for everything you need to know about Korean film making and new releases that may end up being sleeper hits in the States. VistaWide – Spanish Films Learn about the Spanish films that have paved the way for other foreign films by scooping up Oscars and other major movie awards. CinemasInfo While this blog has lots of mainstream movie information, it also has a healthy dose of foreign film reviews coming from Asia and Bollywood. Going to the movies is one of the last ways our society gains culture in an entertaining fashion. Since going to the movies can set you back $50 or so, if you’re a couple and grab a few snacks, remember that many Oscar-nominated films are released on DVD well before the awards ceremony or can be streamed to your television via your Xbox or Playstation 3. This makes getting in-the-loop about this year’s Oscar picks far more accessible and comfortable, since you can cuddle up and make a critique in your own home. Will Books Fade into Obscurity? The world is going digital – zeros and ones have replaced letters and word and bits and bytes have taken the place of traditional books. Kindles and iPads are replacing libraries, and good old paperbacks and hard-bounds are being relegated to the pages of history. Or are they? Those in favor of innovation and progress, those who love technology and are enamored by their gadgets and gizmos, and those who love to flaunt the new and throw out the old are of the opinion that books as we know them are fading into obscurity. No longer will people go to bookstores or libraries to satisfy their reading habits; all they have to do is go online and download all the books they want to their gadgets. For one, while new books can be digitized and downloaded immediately, it’s going to take a while to convert all the books that have already been written into their digital equivalents. Even if this mammoth task is possible, securing the digital rights for these books is another thing that has to be done. E-book readers are expensive, and not many people can afford to buy them. As for traditional books, if you’re short of money, you have the option of borrowing them from libraries instead of buying them outright. While environmentalists are happy that digital books reduce the usage of paper, e-waste by itself is an issue that they are not prepared to deal with. The large number of electronic gadgets and appliances that is being discarded and thrown away gives rise to landfills that pollute the earth with lead, cadmium and other poisonous chemicals. It’s easy to recycle paper and reuse it, but the safe disposal of e-waste is yet to be adopted in many locations around the world. So for now, paper books seem like the more eco-friendly alternative when compared to e-book readers that cannot be disposed of safely when they have outlived their usefulness. And last, but not the least, no matter how much technology advances, no matter that the entire world is going digital, there will be people who prefer the feel of paper and the sight of print to staring at an electronic screen and pressing buttons instead of turning pages. Change is inevitable; so while you must accept that e-book readers and digital books are becoming increasingly popular, there’s no reason to give up the kind of books that you love – the paper and print kind. Establish yourself on the web: When you want a publisher to take you seriously, you need to have established yourself as a good writer, someone with credibility and who knows their stuff. With the advent of the Internet, this has become a very easy thing to do. So before you begin to fire away on your manuscript, take the time to set up shop on the free advertising media that is the Internet. I personally know two people who signed book deals based solely on their blogs. Interested publishers saw potential for successful books based on their niche writing and on their popularity as blog owners and writers. And even if the publishers don’t come to you, your blog allows you to showcase your potential. Don’t write hoping to get published: This may seem like a strange thing to do, but when you write a book with the intention of getting it published, you tend to lose your creativity and try to conform to clichés and trends that are currently popular. You lose your originality in the process and your book comes across as a not-so-good clone of a few of the recently popular bestsellers. Publishers are looking for originality because they know that people are always seeking change, so if they see a spark in your work, they may be willing to take a gamble on you. Publish by yourself: And finally, instead of waiting for publishing houses to get back to you, self-publish your books using some of the options that are available online. This may not be exactly what you’re looking for, but it’s a start to where you want to go. It allows you to test the waters and see the reception your book gets; also, you could begin small by writing e-books and publishing them online to see what people like and would buy at a bookstore. If you’re looking to get published, the answer is to be patient, keep trying, and stay busy with writing new things while waiting for someone to snap up your book. I’m not one to generally read literary non-fiction, but when one of your favourite authors pops up on the list of those who won the Charles Taylor Prize, as the name of a book rather than the person who has written it, you do have to pick up the book and see what it’s about. And so it was that I came across Jane Austen, the creative non-fiction piece written by Carol Shields that details what little is known of Jane Austen’s life during the short 40 or so years she lived. When you read Jane Austen, you can identify with Austen’s life as a writer, mainly because she draws from her own experience for all her books. Pride and Prejudice, Emma, Sense and Sensibility, and Mansfield Park are Austen’s most famous works, and they all deal with societal morals and values during the time Austen lived. They talk particularly about the life of women at a time when marriage was the only thing on the minds of parents with girls who had reached a certain age – the higher the peerage of the man who married their daughter, the higher their standing rose in society. And so every mother was on the lookout for eligible bachelors, so much so that they would push their daughters on to them in an attempt to entice the men with the feminine nature of the women. Remember Mrs. Bennet in Pride and Prejudice? Perhaps Jane Austen was driven to write mainly about marriage and bagging a good husband because she herself remained unmarried till the end when an illness claimed her life at the young age of 42. According the book written by Carol Shields, Jane Austen fell in love with a young law student who was visiting her neighbours and hoped he would reciprocate in kind. Her letters to her sister Charlotte were full of her feelings for Tom Lefroy and how she hoped to marry him. But she was in for a major disappointment as Lefroy returned to Steventon only to marry an heiress. Perhaps this feeling of resentment against heiresses is carried forward in all her works – the men are made to understand that heiresses are not the right wives for them; rather, it’s the genteel women of good families who are well-read and also knew how to take care of other feminine responsibilities (like sewing, nursing, and maintaining the household) who hold more promise than women who have just money. Austen was in a way just like the heroine of her book Pride and Prejudice – Elizabeth Bennet – who she portrays as an intelligent and quick-witted, yet sharp-tongued and impulsive young woman. She was clearly ahead of the thinking prevalent in those times, and Elizabeth is modelled along those lines – she uses her honesty and wit to ultimately find happiness with Darcy, a happy ending that Austen perhaps lived through her creation because she could not find it herself. The book Jane Austen by Carol Shields retails for $11 in the paperback form and $23 in the hardcover form at Amazon. Street art is common in Europe and some regions of the United States. It’s different than standard graffiti in that it usually makes a political statement. There’s plenty of kitschy street art, but it typically symbolizes some sort of statement. It is often conducted in the dark of the night and many artists’ identities are unknown since they’re often vandalizing and defacing property. Some street artists have gone commercial, picking up gigs with major pay, but for the most part, the art remains safe from heavy monetary influence. If you’re visiting a major city, there’s a good chance there’s a street art scene going on there. These blogs will show you amazing images from all over the world and give you a feel for what street art is all about. 1. Ulamonge This amazing design and street art blog shows you the best of what’s out there. Folks from all over the world send in images and stories about street artists, making this site a must-read for those who want to learn more on the subject. 2. Global Graphica This site showcases design and street from around the globe. It is a must-see for small snippets of the street art scene going on in major cities, no matter how large or small the work. 3. The Street Art Blog This street art blog will knock your socks off. The blog features work from all over the world, including the amazing mural in Mexico recently completed by famous street artist WK. 4. Streetsy This blog shows you fabulous works from LA to New York City. The Flickr account will entice art lovers for hours as you see the amazing techniques of unknown artists who are trying to send a message. 5. Little People Not all street art has to be splashed on a wall. This blogger displays”little people” at monumental places all over the world and captures images of the figures. 6. Vandablog This site shows street art from around the world, but the blogger doesn’t just show off eye candy. He also makes interesting art commentary that will help you better understand the purpose and message of most street art. 7. Pure Graffiti If you love street art, it’s likely you’re also into graffiti. This blog has graffiti news from around the globe and images galore to keep you entertained for hours. 8. German Street Art Blog This blog is devoted to street art throughout Germany. Germany has a strong street art scene which results in amazing images of artists at work and working on large scale pieces. 9. Dave the Chimp This is the website of a major street artist. Read his interviews, thoughts and about upcoming exhibitions for his contemporary art work. 10. Unurth Street art from anywhere and everywhere is what you’ll find at this site. It’s a wonderful site for eye candy that will inspire you and make you want to learn more about street art. 11. Arrested Motion To see street artists after they produce contemporary art, this site is the place to be. It periodically showcases street art occurring in major cities too. 12. Images to Live By This blogger travels the world and shows you street art, no matter how small the work. It’s a fun look at the less intense side of street art, as most of the works are fun and quirky versus trying to make a major statement. 13. Stencil History X This blog focuses on stenciled work around the world. The street art featured has a realistic look, only on a grand scale with intense colors. 14. Just Taking Pictures This site not only shows street art, but how it’s done. It’s an inside look at this sometimes secretive art and shows you the process of street artists around the globe. 15. Just Blog This is one of the oldest blogs on the web that focuses on street art. It talks about the history of street art and the great artists that contributed to the movement. These blogs walk you through the street art scene and show you how to follow the movement on the web. 16. Brooklyn Street Art Keep in the loop of street artists with this site. It primarily focuses on New York area artists, but also has info on artists from Europe. 17. Bird Gun Blog Find out what prints are available from street artists’ contemporary pieces. This blog has been around for quite some time and shows you street art events going on. 18. Arte Cocodrilo This site has plenty of street art updates and news on events and gallery exhibitions with contemporary art. 19. Bomit This blog features unique street art from around the world. It also discusses censorship in street art, which will get you thinking. 20. Ekosystem This one of the best blogs for following the street art movement worldwide. It’s a great site to visit if you’re headed to a big city and eager to check out the street art and contemporary galleries that have exhibits on similar work. 21. Graffiti Art Magazine This French blog showcases graffiti and street art. The updates are frequent and talk about major projects going on in the world of street art. 22. Juxtapoz This is the grand daddy of them all. Juxtapoz has been around for decades and now features street art, including murals and installation pieces. 23. Wooster Collective This site examines street art in New York City, but also touches on worldwide street art. We love it because it has tons of video footage of street artists at work, giving us a peek at how it all goes down. 24. Acid Olatte This site has a lot of contemporary art, but also has an extensive section on street art in installation form. 25. Fat Cap This blog is divided up into big walls, street art and tagging, so no matter what you fancy, there’s a section for you. 26. Super Touch Art This is one of the most informative blogs on street art. If you’re new to the subject, check the archived posts for history lessons on the subject and get a feel for the intentions of street art. 27. Open Your Eyes Free This French blog showcases contemporary art and street art. It has photos of large scale works throughout the City of Lights. 28. Buenos Aires Street Art This blogger traveled throughout Buenos Aires and photographed the gorgeous city’s street art in various neighborhoods. It also features street art from other cities and artists outside of Argentina, such as snail art (yep…graffiti on a snail!). 29. Flawless Hustle This blog is dedicated to hip-hop culture and has extensive sections on street art and graffiti. Check the artist interviews to get an insider look at street artists. 30. Fluxo This site has artist interviews, footage of how various street artists work and of course, images from street art installations and murals. Stencils are what many street artists use to create such grand art on a large scale. It takes just as much work to create the stencil as it does to get the work up on the wall. These blogs show you how it gets done. 31. Stenzilla At this site you’ll see how different street artists use stencils to create complex pieces on a grand scale. It’s a must-read for those who are interested in the basics of stencil art. 32. The Street Art Blog – Stencil Art See YouTube footage of street artists and how they go about creating their stencils for projects large and small. 33. World of Stencils This blogger takes you along the road for the ride of checking out brilliant stenciled street art throughout cities like Rome. It’s a fantastic blog for those who want to see many different styles of art in the stenciled medium. 34. Paper Monster This site has tips for those creating their own stencils and contemporary art news for stencil artists who have exhibits and sell prints online. 35. Prefuse Read this independent street art blog for tips on how to improve your own technique or watch other artists on the job. It also has footage of some of the biggest names in the biz, giving you a look at how important technique is. 36. Abduzeedo – Stencil Art This site has some amazing examples of stencil art from around the globe. It’s a must-read for those who are even slightly interested in stencil and street art, because it shows the medium at its best. 37. Abstract Art World For those wanting to learn to create their own stencils, this is the best blog to improve your skills. It has YouTube videos that walk you through the various steps of making a stencil. 38. The Graffiti Supply If you want to learn about the craft of stenciling, what tools you need to get you started and how to practice your skills, this is the blog for you. 39. Stencil Archive This website has countless images of stencil art from around the world. It also keeps you updated with stenciling news and events in the U.S.
Get chatty with other street art aficionados with these street art forums and messageboards. 40. Banksy Forum It’s all Banksy all of the time at this messageboard. It shows you where to find Bansky works throughout the U.S. and Europe. 41. Art Primo Here grafitti artists share tips and talk about technique and finding the right wall for certain ideas. 42. Pure Graffiti This site breaks down the 101 of graffiti and street art. It also has links to street art blogs and the rundown on what you need as far as graffiti equipment. 43. Graphic Design Forum For street artists who want to learn more about the formal side of design and art, this site will show you the ropes. It has discussions over typography, which is important for many graffiti artists. 44. Deviant Art Here artists connect. The forum has a large section over stencil art for those who want to meet others in their area to work with. 45. Bombing Science Find out what you need and show off your work at this graffiti forum that welcomes newbies and veterans. 46. 12 Oz Prophet Forum This site has forums for every type of street artist. From those who tag huge walls to those who go after buses, trains and subways, there are discussions going on about all of it. 47. Graffiti Spot This site is mostly about Australia-based graffiti and street art, but the tips shared by members can be utilized by any street artist. 48. Freightalicious This forum isn’t very active, but the old posts are brilliant for learning about managing your time when tagging a train and working in the dark. 49. Ekosystem Forums Read about graffiti-inspired exhibitions throughout Europe and has links to sites that will help your graffiti skills. Street art is a whole new world of art that has been on the map for quite some time, but has been pushed into the spotlight thanks to the Internet. With the Internet, street artists communicate with each other and show their work to the world. While much of it is politically driven, there’s a free spirited charm to street art that is lacking in other contemporary art forms. One of the best ways to ensure that you get into the college of your choice is to enroll in a college preparatory course while still in high school. While this does eat into your free time and increases your study burden, it does make it easier to get into a good college and the degree that you aim for. Most college prep courses allow you to study online so you can take advantage of flexible timings and schedules. And best of all, you can earn nearly a whole semester’s worth of college credits through advanced placement courses and dual credit courses. However, in order to gain the most out of these online courses, best practices have to be enforced in the teaching and learning spheres. Flexible models: The success of online education at any level depends on how flexible not just schedules and timings, but learning models are. Most people choose to study online because they wish to choose the model and schedule that suits their circumstances, needs and lifestyles. The more the flexibility, the greater the success of online learning. Focus on soft skills and informal learning: College is not just about grades and learning; it must prepare you for the real world by teaching you soft skills and other practical aspects that are needed to survive in the real world. Preparatory courses that focus on these skills help students ace the interviews held during the admission process and also prepare them for professional careers. Building relationships and learning to interact with online communities: Online courses should be structured in a way that allows learners to form communities and interact with each other. The absence of face-to-face learning and interaction hinders some students’ progress, so it’s important that they learn to form relationships that allow them to sustain and progress in their online venture. Commitment: The downside of flexibility is that those who are not committed tend to go astray. They are unable to concentrate when there are no fixed schedules and when there is no direct supervision. So in order to gain the most out of online courses, there must be commitment on the part of the learner. Consistency: It’s not easy to sustain dedication to learning on a long term basis when you don’t have regular schedules and timings and when self motivation is your only asset. So unless learners are able to motivate themselves and continue to extract the most out of their online courses, online education does not serve its purpose. Responsibility (the ability to learn independently): And finally, online learning works only when students accept responsibility for their performance and are able to function and learn independently, without teachers to push them and parents to cater to their needs. Online preparatory courses help students prepare for an independent college life where they’re able to function without supervision and without the fear of repercussions. Vintage clothing has become a major interest for those who love fashion. Blogs and social networking sites allow vintage clothing lovers to come together and talk about their obsession and the history behind it. Clothing trends change with the times and it’s amazing to see the functional silhouettes and details that have withstood generations of trends. Learn more about designers and styles from decades ago with the help of these top vintage clothing blogs. Whether your body looks best in a ‘50s sheath or a frothy ‘70s maxi dress, these vintage clothing blogs will teach you what to look for when shopping vintage items and how to care for them so they stay in stellar shape. 1. Adore Vintage This is one of the most useful vintage clothing blogs on the web because it goes into great detail over vintage patterns and styles from the ‘20s forward. 2. Vintage Bulletin With multiple posters, this is the site to read when you want to learn how to work vintage clothing in your modern wardrobe. 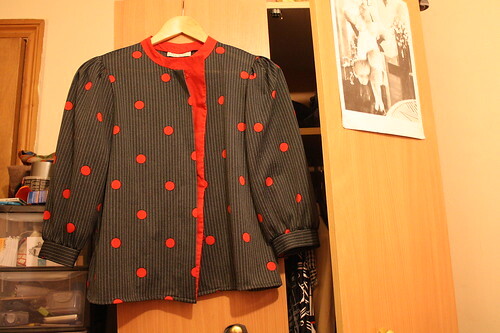 It also showcases pieces from its eBay store and other vintage clothing sources around the web. 3. Mystique Vintage Clothing Blog This vintage clothing blog goes into depth with the make and models of several vintage pieces it features. It gives you a rundown of what details to look for on a garment from a certain era and how to care for vintage clothing in your collection. 4. Debutante Clothing At this quirky blog you’ll learn how to mix the old with the new in a fresh, stylish way. It has plenty of images that will inspire you to wear your vintage pieces every day instead of hoarding them away for a special occasion. 5. D Vintage Clothing For those who love all things vintage, this blogger talks mostly fashion and style, but occasionally features vintage pieces from her home decor collection. 6. Chronically Vintage Learn about vintage pieces this blogger has and how to wear vintage clothing so it looks cute and quirky, not costume-driven. 7. Vintage Clothing Tip This blog has tips on how to buy vintage pieces online, including a rundown on how pieces from various eras run in terms of sizing and how to measure your bust, waist and hips to ensure a great fit. 8. Couture Allure This is a fantastic online resource for those looking to learn about vintage clothing. It covers several different decades, talks about major designers who are long gone and also chats about the timeless shapes that still look relevant today. 9. Denise Brain Learn everything you need to know about how to shop for and wear vintage clothing on a daily basis. This blog touches on different fabrics and details that were popular during certain eras. 10. From Betsy With Love This fabulous vintage clothing site is fit for those who love to inject a little beauty from the past into every day. The blogger posts vintage photos for inspiration and also talks about hallmarks on clothing from particular decades. 11. Glamoursplash This vintage clothing site places a huge emphasis on vintage swimsuits and how the trends from the ‘50s and ‘60s are represented in modern swimwear. 12. Liebemarlene Vintage Learn how to work vintage clothing like it’s brand spanking new from this fantastic blog. The blogger has a true passion for clothing and style and offers tips for putting a new spin on vintage clothing. 13. Dorothea’s ClosetThis vintage clothing blog hits on pieces from the turn of the century through the ‘70s and shows amazing shapes and styles that continue to rule the runways and make their way into mainstream modern fashion. 14. Shrimpton Couture We love this online boutique and the blog that goes with. The blogger posts vintage clothing sightings on modern day celebrities and has been featured in major magazines for her how-to-wear vintage clothing advice. 15. Medical Disposal Systems This fun blog showcases clips from period films for inspiration and also shows you how to wear vintage clothing pieces with other budget-friendly items for the modern woman. These blogs will make you want to get out and shop. If finding vintage clothing has been your excuse for not getting into vintage shopping, these blogs will show you the best sources and how to go about making a purchase. 16. Zuburbia This site does the dirty work for you and scours vintage sites and eBay stores for amazing deals and pieces that can easily be worn every day to work or play. 17. Our Vintage Life This blogger just started up her own vintage clothing store and has tips on how to purchase vintage items, from dresses to kitschy pieces for around the house. 18. Wearing History For those who are into vintage pieces from the beginning of the 20th century and want patterns to make their own clothing, this is your blog. It’s a fabulous blog to follow if you are making alterations to existing vintage pieces too. 19. Strawberry Koi This blogger shows you where to buy vintage clothing, but also vintage-inspired clothing if you’re less adventurous and aren’t sure how older clothing fits your shape. 20. Vintage Starlet This blogger takes you on her vintage shopping trips with tips on how to spot a gem and what to leave behind when the shopping bug bites while in a thrift store. 21. Vintage Vivant See how this blogger wears vintage and modern pieces together and where she picks up some of her move beloved vintage items. 22. Hollygab This blogger has tips for wearing vintage clothing and finding it online and in vintage stores. She also offers tips on caring for vintage pieces to keep them in good condition. 23. Diary of a Vintage Girl This long-time vintage clothing lover shows you where to buy vintage items and how to wear them on a daily basis or for special events. 24. Tea with the Vintage Baroness This blogger has a vintage boutique on Etsy, but also features vintage pieces from other online stores and talks about trendy pieces that are popular or hard-to-find and tips on how to source them. 25. Cali Vintage This vintage clothing blogger has style tips galore and isn’t afraid to share them. She posts about vintage shopping sites and stores and chooses to wear most of her vintage clothing in a more modern way. 26. Doo Wop Dolly This vintage lover is addicted to dressing up 24/7 and shares her tips for shopping for unique vintage pieces when you’re at a thrift store or flea market. 27. Vintagemaaedchen Use Google Translator to read this amazing blog over all things vintage and how to work them into modern life. It is a fantastic read with plenty of eye candy and has tips on how to spot a diamond in the rough. 28. Revamp Vintage This famed site is home to the LA-based store that reworks and recreates vintage costumes and ornate clothing. Check the links at the side for lessons in fashion history to get your vintage shopping on the right track. 29. Penelopepup’s Vintage Clothing Blog This blog is part online boutique and reviews clothing from various decades and has plenty of link love for fellow online stores where you can find the best vintage clothing. 30. The Way We Wore This famous vintage store has a blog and posts updates on vintage clothing exhibits going on the U.S. and Europe. Chat up other vintage fashion lovers with these messageboards that talk about vintage clothing patterns and how to get the perfect finishing touches for a vintage dress. 31. Defunkd If you have questions about how much a vintage piece is worth or how to go about selling it to a consignment shop in your area, this is the messageboard for answers. 32. eBay – Vintage Clothing Accessories Forum eBay is one of the biggest online resources for vintage clothing, so it’s no wonder the forum for the subject is always hopping with folks inquiring and sharing information on vintage items. 33. Vintage Clothing Sellers Vintage clothing sellers can get an idea of how to advertise items, get tips on customer service skills and how to set up your online store so you can start making money. 34. Vintage Schmintage Forums This discussion board has vintage clothing tips for men and sewing ideas for coming up with your own vintage-inspired pieces or utilizing patterns from eras gone. 35. Vintage Fashion Guild At this messageboard, members talk about trends in vintage clothing (as in, what’s selling like hot cakes right now) and how to track down the designer of an item when the tag isn’t available. These vintage clothing blogs will give you history lessons in garments you’re after and also teach you how to wear them in a modern manner. Since vintage fashion isn’t ruled by any one decade or trend, it’s easy to showcase your personal style when wearing vintage clothing. Be bold and embrace the glamorous silhouettes and details found on garments from years ago, which will always make you stand out in a crowd. Looking to learn a whole new way to eat or just something tasty for dinner tonight? Japanese food just might be the answer. Before you type it into a search engine, stop by the blog(s) of someone who has mastered the art, lives the life, or just has loads of recipes to choose from. There are literally hundreds of blogs to choose from, so don’t get frustrated. Below, we have gathered the top 50 Japanese food blogs. Written by natives, locals, travelers, and more, they include every kind of Japanese cuisine you could want from appetizer to dessert. There are also options for favorites such as sushi or sake. These blogs focus on all aspects of Japanese food. 1. Kyoto Foodie : Where and what to eat when visiting the Japanese city of Kyoto are shared in this blog. However, you don’t have to travel to get their original recipes and expert how-to guides. They also have sections on cooking utensils and products. 2. Tess’s Japanese Kitchen : Japanese recipes such as soups, steamed dishes, rice, and much more are featured on this blog. Tess also features favorite entries from other Japanese cookbooks and blogs. The most recent is a minty carrot Tsukemono. 3. Hiroko’s Kitchen : She began a cooking business in her native Japan back in 1989. Ten years later, she moved to New York, where she now writes cookbooks and authors this expert blog. In addition to expert tips, she also writes about things that interest her. 4. Japanese Food : Setsuko Yoshizuka has been the About.com Guide to Japanese food since 2000. A Japanese native, she enjoys sharing her passion for cuisine and includes a Japanese food glossary and recipe box. 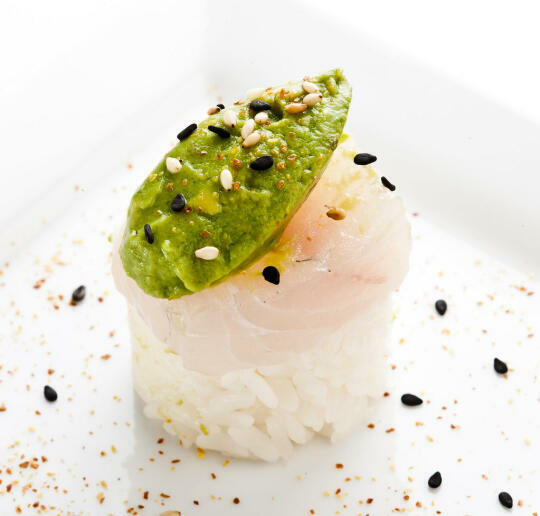 Must reads of the blog include an introduction to sushi and dessert recipes. 5. The Japanese Food Report : This blog was launched as a journalistic inquiry into all aspects of Japanese food culture. Explore books, equipment, ingredients, techniques, and much more. One of the most current posts are on two must-try Miso dressings. 6. Yasuko-san’s Home Cooking : This blogger’s mother prepares traditional Japanese meals and showed her children how. Visit to get the family’s menu of the day and more. Be sure to use the recipe generator located in the right hand column. 7. Sasasunakku : Sasa likes to cook, write, eat, and dance, though not necessarily in that order. Born in Japan, she has lived all over the world and features recipes from everywhere. Some of her favorites include cicerchia soup, chirashizushi, and a carrot, mint, and harissa salad. 8. Cook Japan : This blogger loves all things Japanese food. Although it has been a while since the latest entry, it is still worth a look. Offerings include porridge and mackerel Japanese-style. Learn more about life in Japan, along with the food, in these blogs. 9. Japan Pulse : This blog is part of the publication “The Japan Times.” Categories on the blog range from art to technology. Trends in the country are largely focused on. 10. Yen for Living : Click here for another blog from “The Japan Times.” This one, however, focuses on making, saving, and spending money in Japan. An excellent choice for those who wish to live in or visit Japan. 11. Blue Lotus : Amy Nakazawa moved to Japan in 1996 and fell in love with the country. After marrying one of the locals, she also learned to love the food. She is currently with child and writes all about it. 12. Watashi to Tokyo : Mari Kanazawa is from Tokyo and blogs all about life there. Although she admittedly has problems writing in English, she still manages to convey the sense of her native culture. Daily goings on and items that interest her are often featured. 13. Daily Shopping News from Japan : Shopping, eating, and traveling from Noriko’s daily life is found on this blog. She works for a trade company by day and blogs on her favorite things by night. The latest include an exotic perfume. 14. Just Another Day in Japan : This blog is a compilation of links, pictures, articles, and random nonsense related to Japan and Japanese study. Blue Shoe and other contributors are active learners of the Japanese language and even blog in the language. They also feature many entries on culture shocks. 15. Loco in Yokohama : This blog was begun to accomplish three things: share the experiences of living in Japan, write regularly, and showcase the writing. He recently concluded a series in racism and shares more. 16. Life of Linuz : Get a combination of both Norway and Japan in this blog. Since Linuz’s first taste of Japanese cuisine in 1997 she has been obsessed and blogs to that effect. Pictures, art, projects, and cooking are all featured. 17. Our Adventures in Japan : Click to read Kat and Satoshi’s eating and traveling adventures around Japan. Originally from Hawaii, they love to travel and eat. The blog also stands out for loads of pictures to accompany the entries. 18. A Geek in Japan : Kirai is a technology lover living in Japan. Categories on the blog include everything from Anime to video games. You can also view the blog in its native Spanish. These blogs focus on one of the most popular of Japanese foods: sushi. 19. In the Kitchen With a Southern Sushi Chef : Marisa Baggett’s passion for food led her to an early career in culinary arts. At the age of 22, she opened The Chocolate Giraffe in Mississippi. She later learned how to prepare sushi and combines both Japanese food and Southern down-home cooking onto one impressive blog. 20. Sushi Day : Every day is sushi day on this blog. The blogger posts recipes made, tried, reviews, tutorials, and other sushi related randomness. Visitors can also choose from Maki and Nigiri recipes. 21. Sushi or Death : The pleasures of sushi from preparation to eating are discussed here. Reviews, along with fun and weird stuff, are also available. 22. Sushi Otaku : The musings of a sushi fanatic are featured here. Categories include restaurants information, sushi and health, traditions, and others. A recent entry was on genetically modified salmon in sushi. 23. San Diego Sushi Blog : The goal of these bloggers is to visit every sushi place in the area. See how well they are doing with a visit. They also take on other Japanese food restaurants and travel cuisine. 24. All About Sushi : This blog is part of the massive iFood network. It teaches all the basics on sushi, including a few advanced tips. The site is also host to loads of other Japanese food blogs. Get your next snack just like the Japanese with the help of these blogs. 25. Japanese Snack Reviews : Learn all you need to know and more about Japanese junk food in this blog. Orchid covers everything from chocolates to fine cheeses. The “1,000 Things About Japan”is also a popular choice. 26. Daily Yamazaki : Stop here for an anecdotal reference guide to fast and junk foods of Japan. If you’ve never heard of Family Mart or Lawson’s and Daily Yamazaki, you will after a read of the blog. Virginia and Nicholas also use Japanese in their blog entries. 27. 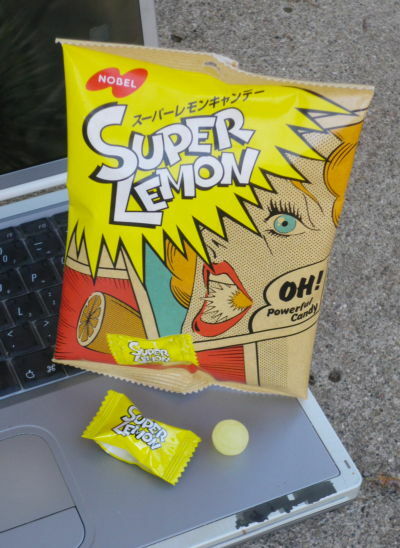 The Japanese Snack Food Review : This blog reviews Asian snacks for “fun and science but mostly fun.” Foods are featured from a zero to 5.0 wasabi pea rating, which you can learn more about. You can also just check out the latest on random foods like lemon potato chips and raisin whip. 28. Tasty Japan : Kelly is an Australian girl married to a Japanese guy. Her blog is dedicated to reviewing tasty snacks from his native country. Choose a label on everything from alcohol to yogurt. 29. Japanese Candy : What would a snack be without candy? Napa Japan specializes in sampling Japanese Kit Kats, which are apparently abundant. There are also other snack foods such as chips and gum. 30. The Ramen Blog : Far more than a package of noodle soup, Ramen is known throughout the world as the ultimate Japanese snack. Get reviews and news for it on this blog. There are also other Japan related entries. 31. Healthy Blog Snack : Get a blog on all snacks, not just the Japanese, by clicking here. Lindsey writes for busy people who have little time for nutrition. Fun, food, fitness, and more are also written about. These blogs focus on a particular aspect of Japanese food. 32. Molppai : What’s a Japanese meal without a drink to go with it? This blog focuses on wine, beer, sake, and more. A different drink is often reviewed in each entry. 33. Sake World : The blog was created by “Sake Evangelist”John Gauntner, one of the leading non-Japanese authorities on sake in the world. He is also the only non-Japanese certified Master of Sake Tasting. Visit to get his picks for this Japanese delicacy. 34. Japanese Ice Cream : Learn how Haagen Daz is sold to the Japanese in this blog. It also stands out for featuring the best in local ice cream. Simply choose your flavor from the right hand column and click to learn more. 35. Wagashi Maniac : Wagashi is a traditional Japanese sweet. This blogger features these desserts as recipes personally prepared. English translator required. 36. Norio on Wine and Food : Learn how to pair Japanese food and drink with the help of this blog. There are also tons of traditional recipes to choose from. Popular posts include matsutake rice and pork cutlet bowl. 37. Just Bento : Practical and fun bento box tips and ideas, healthy bento recipes from Japan, and the world can be found here. Beginners can check out the basics or even get a Get Started Handbook. The latest post is on quinoa with Japanese flavors. 38. Bento Lunch Blog : Have your lunch the Japanese way with the help of this blog. Inspiration and tips for making your own Bento lunch box are shared. Simply use the translator, as the original blog is in German. 39. Japan Brew : Sake isn’t the only alcohol to be found in Japan. There are also many varieties of beer as featured in this blog. Other drinks are also written about. 40. Tokyo Through the Drinking Glass : Follow Melinda as she pursues life, wine, and sake in her blog. She has been at it since 2006 and has loads of entries to choose from. Everything from shots to the perfect glass of wine is discussed. 41. Humble Bean : This blog is dedicated to contemporary Japanese food. It is also a place for learning, discovery, and invention. Chilled tomato somen is the topic of the latest post. 42. 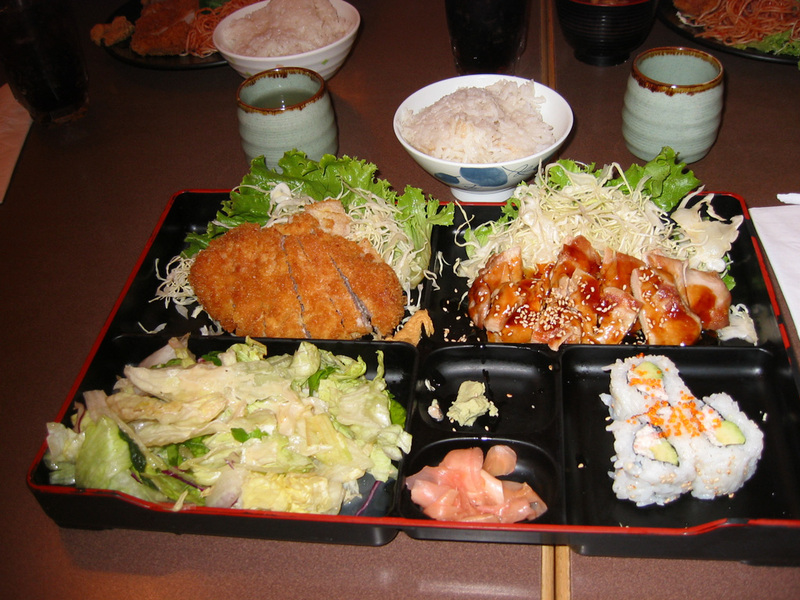 Calories in Japanese Foods : If looking to Japanese food as a way to help lose weight, visit here. The site gives the calorie count for many foods from amanto to zosui. Simply click on the food to get more information. These bloggers and chefs teach you how to make Japanese food in your own home. 44. Still Clumsy With Chopsticks : 2Obachan means a “middle-aged woman”or “aunty”in Japanese. From Kochi, Japan, she shares home cooked recipes and even information on local orchards and gardens. There is also a metric converter for figuring out those tricky Japanese measurements. 45. 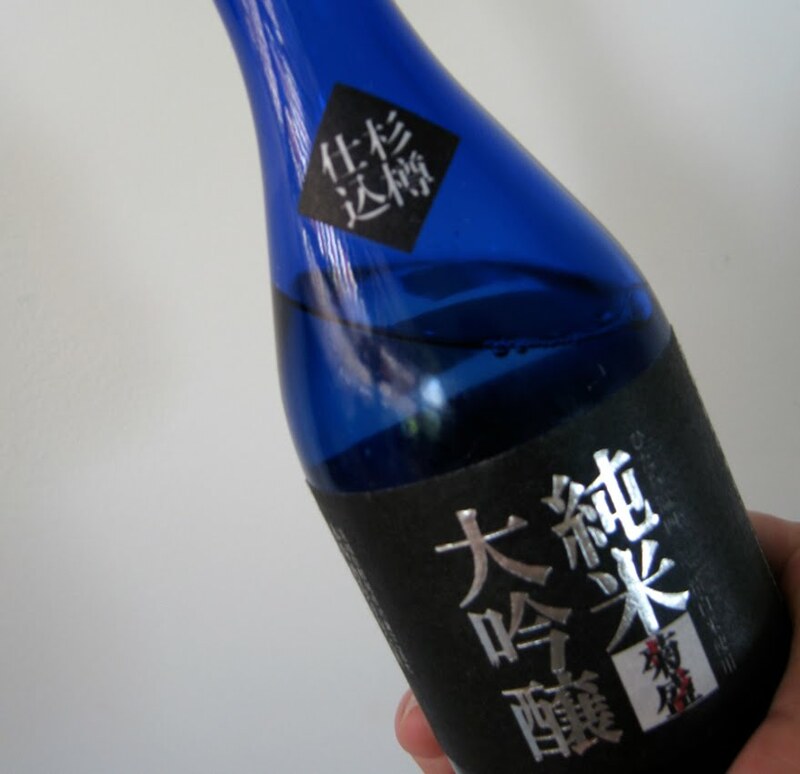 Tokyofoodcast : Et-chan and Te-chan share their love of sake and Japanese food from their home. In addition to recipes and tips, they also feature podcasts with even more. You can also get a travel and Tokyo grocery guide. 46. Japan Eats : Both local Japanese and international audiences will enjoy this Japanese food blog. They publish original episodic videos, podcasts, articles, and more. Choose from the latest in booze, recipes, and many others. 47. Japanese Cuisine : Yukari Sakamoto devotes the blog to creating Japanese food at home. Labels include rice, miso, sushi, and many others. A recent post was on how to make Japanese popcorn. 48. Misa’s Kitchen : This blog was formerly known as the Soy Sauce Queen. Now the blogger returns with tons of tips for authentic Japanese home cooking. A worthy stop for the pictures alone. 49. The Gaijin Gourmet : Ohaiyo Gozaimasu dedicates his blog to the Soy Sauce Queen and others. It is worth a stop for those who are beginning a quest in Japanese food, even if new posts are sparse. 50. Japanese Food Dictionary : Finally, if any of the above have you confused, click here. This free, online dictionary features an A to Z listing of Japanese foods. There are also other food resources to choose from. Remember to use caution when preparing any of the raw fish or foods found in the above top 50 Japanese food blogs. Many have been cooking and blogging for years, and some of the recipes cannot be deviated from at all. Centre for Sustainable Fashion : The London College of Fashion team of bloggers discuss trends and news in sustainable fashion on this intelligent blog. Chicvegan : At Chicvegan, find the latest fashions that are not only environmentally friendly, but produced in a vegan way. This means no animal products, period. Cielbleu : Cielbleu is a sustainable clothing company that also posts interesting finds from the world of eco-fashion and design. Commerce With A Conscience : Brad Bennett writes this blog to help educate the public about socially conscious designs that are also attractive and affordable. DealHippie : DealHippie scours the Web for daily specials and sales on eco-fashion, beauty products, and other items for the eco-conscious consumer. DesignSprout : DesignSprout showcases the best eco-friendly design in furniture, home design, art, and fashion. Earth To Philly : This blog of the Philadelphia Inquirer and Philadelphia Daily News covers green trends and news in Philadelphia, including eco-fashion. Ecco Eco : Abigail Doan writes this blog which focuses on the best in designer eco-fashion. Eco Goddess Fashion : Naomi and Lorna, from the UK, write about ethical and sustainable style on the Eco Goddess Fashion blog. Eco-Chick : The twenty bloggers of Eco-Chick devote space to sustainable style, handmade natural products, and creative upcycling. ecofabulous : Ecofabulous brings the best in eco-friendly products to its blog, including fashion, beauty products, home décor, and kids’ products. ecofashionworld.com : Ecofashionworld.com exists to provide readers with inspiration for environmentally conscious clothing. They believe that we are connected all over the world and that the purchasing decisions we make today have a real impact. Ecomodish : Ecomodish publishes reviews of eco-fashion pieces, beauty products, furniture, gift ideas and more. EcoPrincess : Eco-Princess is Becky, a UK blogger who loves to take photos of eco-fashion. She takes the time to interview up-and-coming designers. Ecorazzi : Ecorazzi is the blend of “eco” and “paparazzi.” So this blog has all the latest gossip when it comes to environmental issues, Hollywood, and politicians. Ecosalon : Ecosalon covers ecofashion, food, health, and even eco-pets in this excellent blog. EcoSista : “Where Black Meets Green” is the perspective of this fun environmentally aware style blog by Jazmine. Ecostiletto : Ecostiletto is about helping the fashion-conscious woman reduce her carbon footprint from a snow boot size to a stiletto. They write about eco-friendly fashion, beauty, lifestyle, and celebrities. Ecostyle Magazine : This online “magazine” is all about putting together eco-friendly looks that are stunning and sustainable. ecouterre : Ecouterre was launched by Jill Fehrenbacher of Inhabitat.com in September of 2009. She highlights innovations in clothing technology as well as smart, attractive designs. Ethical and Green : Mostly about other “green” topics, this blog does cover eco-fashion occasionally. Ethical Fashion Addicter : Showcasing the best in eco-fashion, the Ethical Fashion Addicter combines excellent guest posts with environmental news. Ethical Style Blog : The Ethical Style blog covers news and interesting notes from the world of eco-fashion. Fashion Loves People : Fashion Loves People only showcases clothing and accessories that are made in a way that respects human rights while also respecting the environment. Fashion, Evolved : This blog is not currently being updated but it has some excellent older posts about the world of eco-fashion. Fig + Sage : Fig + Sage has a ton of reviews of natural beauty products as well as organic clothing items. Get details on all the hot sales. Green Cotton : Green Cotton is committed to providing its readers with original content about eco-fashion that is not merely a collection of product pitches. Green Earth Bamboo : Green Earth Bamboo writes about everything related to bamboo and products made from bamboo. Green Girls Global : Green Girls Global is powered by “Green Hosting” and features the chronicles of girls trying to live green all around the world. It is no longer being updated but has some fabulous archives. greengrechen : Grechen has three other websites that are full of news about sales, contests, and giveaways. However, her “green” site is devoted entirely to eco-friendly products. Iva Messy : Iva blogs about fashion, eco-fashion, and her personal style. She takes a lot of photos! Recognized as a “blog of note” by Blogger. Jute & Jackfruit Blog : Jute & Jackfruit is a Boston store that specializes in providing modern eco-fashion to its customers. LuxEcoLiving : LuxEco Living’s philosophy is that real luxury is meaningful when you are healthy, when you are helping the earth to be healthy, and when you participate actively in nourishing others. Magnifeco : Magnifeco is an eco-fashion blog that only features products that are made in an eco-conscious manner, are fair trade, vegan, or recycled. The site is designed so you can click the links directly to buy something if you like it. Miss Malaprop : Miss Malaprop is a review blog that spotlights independent designers as well as green and eco-friendly products. Modern Hippie Mag : Modern Hippie Mag is a WordPress blog that discusses family topics, organic food, heath and wellness, and eco-fashion. Natural Makeup Addict : The Natural Makeup Addict encourages her readers to buy natural, organic, and eco-friendly products on her blog. Follow her as she undertakes such “difficult challenges” as not buying herself any new clothes for three months. OutsaPop : OutsaPop is home to a Finnish designer who uses existing clothing to make all-new sustainable clothing. Fashion from trash! P.S. I Made This : Simple, short instruction on how to make a variety of clothing items and décor for your home. But it’s all homemade, and sometimes made from old stuff. Real Vintage : At Real Vintage, the bloggers are firmly committed to the pursuit of excellent vintage clothing and to wearing it whenever possible. Style Will Save Us : UK-based Style Will Save Us bills itself as an online magazine for a “peachy green” lifestyle. The blog spotlights new favorite pieces, upcoming events, and even some snack food thrown in. Sustain Your Style : Sustain Your Style blogs about eco-fashion in all of its incarnations, including everyday clothing, luxury wear, menswear, and clothing for children. the alternative consumer : This blog spotlights the best in eco-conscious fashion, home décor, and design. The EcoDiva : EcoDiva has been blogging about “ethical luxury” in cosmetics, fashion, and accessories since January 2008. The Ethical Fashion Blog : Published by Drapers, the magazine for fashion news jobs, & trends, The Ethical Fashion Blog provides industry news as it relates to socially conscious fashion. The Green Connoisseur : The Green Connoisseur focuses on top-of-the-line, luxury items that also happen to be eco-friendly. The Green Familia : The Green Familia is a “light green” blog to guide families in making more socially responsible choices in everything from clothing to food. The Green Girls : The Green Girls blog about fashion, health and beauty products, and a healthy family lifestyle. The Greenloop Blog : Greenloop is a well-known online retailer of sustainable and eco-conscious fashion. They present news and commentary on the industry here. ThreadBanger : ThreadBanger is an eco-fashion blog in the sense that the authors encourage their readers to make their own clothing or use old clothing to make something new and even better. TreeHugger Fashion & Beauty : TreeHugger is known as an authority on everything green, and their fashion blog doesn’t disappoint. With news about the latest green efforts by designers to provocative posts about sweatshop labor, Treehugger is on top of socially conscious fashion. Your Daily Thread : Your Daily Thread has a lot of reviews of eco-friendly beauty products as well as fashion and accessories. Learn how to DIY some things, like sugar scrub.